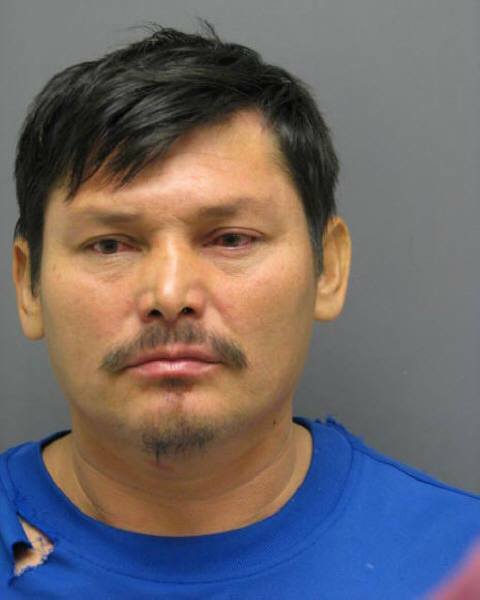 Jose Salome Martinez-Morales DUI assault on officer in Prince William County, Va. on Dec. 24, 2014. Assault & Battery on a Law Enforcement Officer [LEO] l Resisting Arrest – Prince William County Police report that on December 24th at 2:27AM, an officer conducted a traffic stop of a vehicle in the 1400 block of Bayside Ave in Woodbridge (22191). During the encounter, the officer determined the driver, later identified as the accused, was driving while intoxicated. When the officer instructed the accused to exit the vehicle, the accused refused to comply. The officer then attempted to handcuff the accused, at which point the accused struck the officer several times with his hands and fist. The officer then had to use physical force to detain the accused. The accused was subsequently arrested without further incident. During the investigation, the officer also determined that the accused was driving without an operator’s license. No injuries were reported. Chico Police Tillamook patrol troopers of the Oregon State Police, top DUI officers of 2013 Massachusetts State Police Marion County Sheriff Jason Myers Marion County Oregon Sheriff San Bernadino County Sheriff, Calif. Honor is the newest member of the Sarasota County Florida Sheriff's Mounted Patrol. County of Kings California Sheriff Patrol Florida Highway Patrol Kane County Illinois Sheriff patrol car Faulkner County Arkansas Sheriff patrol Corpus Christi Police motorcycle patrol along the Gulf. Collier County Florida Sheriff patrol Nebraska State Patrol Spartanburg Co South Carolina Sheriff Patrol Wright County Minnesota Sheriff Mounted Patrol Alabama Highway Patrol Onondaga County New York Sheriff's Patrol 1929 Colorado State Patrol sobriety test Summit County Mounted Patrol Lee County Florida Sheriff Chopper Two St. Tammany Parish Sheriff's Deputy saved this critter from becoming road kill and lured him off the highway. Jacksonville Florida Sheriff's Public Information Officers Lee County Florida Sheriff's Office Jackson County Sheriff Oregon Deschutes County Oregon Sheriff Larry Blanton K-9 Ike killed in line of duty, Worcester County Maryland Sheriff Calvert County Maryland Sheriff's Office vehicles at Cove Point Lighthouse, Chesapeake Bay. Gadsden County Florida Sheriff's Office Pinellas County Sheriff Bob Gualtieri Calhoun County Florida Sheriff's patrol Fulton County Indiana Sheriff Walker Conley Alachua County Florida Sheriff Sadie Darnell Cache County Sheriff Utah Jefferson County Arkansas Sheriff Gerald Robinson Rutherford County Tenn. Sheriff Robert Arnold Utah County, Utah Sheriff's Mounted Posse Placer County Sheriff Lee County Mississippi Sheriff's team Broward County Florida Sheriff's Harbor Patrol Wyoming County New York Sheriff's Posse Twin Falls Idaho Police Officers Lee McCracken and Marvin Bond, l-R. Louisiana State Trooper Top DUI troopers of Maryland State Police Prince Frederick for 2013: Pictured L to R: TFC David Saucerman, Corporal S. VanBennekum, Trooper Shawn Matthews, TFC Brian Wiesemann, TFC Justin Oles, F/Sergeant Shane Bolger, Sergeant James Barth and TFC Christopher Esnes Santa Rosa Police Dept. Outlaw donkey Jack nabbed in Okaloosa County Florida. This entry was posted in DWI arrest photos, DWI Arrests by State and tagged Driving Under the Influence, driving while impaired, drunk driving, DUI, DWI, Jose Salome MARTINEZ-MORALES, of 1372 East Longview Dr in Woodbridge, OWI, Virginia: Jose Salome MARTINEZ-MORALES charged with DUI and assault on police officer on Christmas Eve. Bookmark the permalink.